clearly obvious and logical choice of Green? We have no clue why the clearly obvious and logical color Green for Green was not chosen. 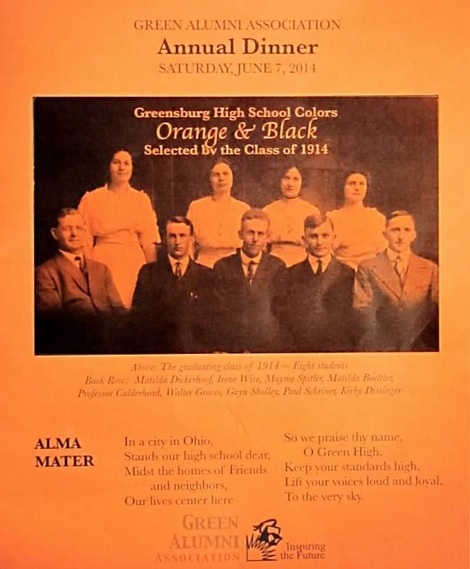 The Green Alumni Association reported earlier this year that the Orange and Black colors were "selected"
found in personal collections, that may not be made public until many years from now. involvement of neighboring school districts changing. borrowed teams. (One or the other or both is how the variety of the stories go!). Is it more accurate to say that the colors were "selected" or that they were "borrowed" hand-me-downs? all, not just a few. place in the research results at: These Are The 10 Most Boring Places In Ohio. "Some of those Buckeye Fans need to grow up and get a life!" But at least the Buckey Fans have taken one step forward since high school.